The Princess Bride is one of my favourite movies. Therefore it was with great anticipation that I awaited the publication of Elwes’s memoir of the making of the movie. 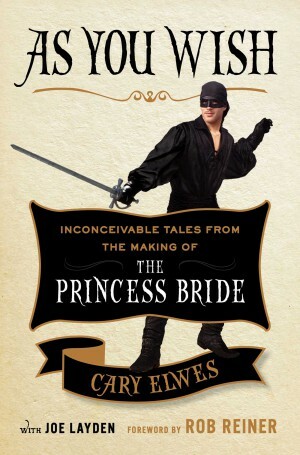 Elwes, who played Westley, delivers here a superb book. It is witty, humble, and excellently performed. Elwes is joined on occasion by other members of the cast and crew, who contribute their own stories and favourite memories of the production. What struck me most was how clearly they all enjoyed the whole process — even when things became tough, painful (literally — there were a few injuries during filming). Elwes talks of the disappointment that the movie was original met with scratching of heads by many, and the amazement and gratitude that it went on to become a massive hit on video, not to mention a passed-down-the-generations classic. Elwes’s delivery is perfect, as one can expect, and the narration is welcoming and crystal clear. There are also many moving memories of Andre the Giant, who played Fezzik and sadly passed away in 1993.